How do you turn friends into enemies? Put them in your novel and make sure they can recognize themselves. Haywood Smith's novel, The Red Hat Club, included a character named "SuSu." In the book, SuSu received a large insurance settlement after her first husband was killed in a car accident. Later, she became engaged to a man who owned nursing homes in Florida and was already secretly engaged to another woman. This man eventually stole SuSu's insurance settlement, moved to Florida, and transferred his assets to his mistress. Although a court awarded SuSu $750,000, she was unable to collect it. Then, at the age of 50, SuSu became a flight attendant. Why did Smith's novel draw her into a lawsuit? The facts summarized above weren't unique to her fictional character. They also fit her real-life friend, Vickie Stewart. Still, Smith might have been fine if she had stopped there. But, unlike the real-life model, SuSu was a sexually promiscuous alcoholic who drank on the job. So Stewart sued for defamation. Smith argued that fiction can never be defamatory, and she asked the judge to throw the case out without a trial. When he refused, Smith appealed. Like the judge, the appeals court rejected Smith's argument. The court said that fiction could be defamatory if the statements were about an identifiable person. The appeals court held that there were enough factual similarities to let a jury decide whether readers would identify Stewart with SuSu. Then it sent the case back to the lower court for a jury trial. The jury concluded that readers who knew Stewart would realize that SuSu was based on her. And since there was no evidence that Stewart was a sexually promiscuous alcoholic, the jury also found that Smith defamed her. So what do we learn from the case of the elderly flight attendant? Just because you write fiction doesn't mean you won't be sued for defamation--or that you can't lose. If you want to write about real people and situations in your fiction, change enough facts to disguise the characters. This requires time and creativity, but it could avoid hard feelings and a lawsuit. And your writing will be better for the effort. Stay tuned for next month's post on the case of the traveling food critic. Today, I have the privilege of interviewing my favorite author. Randy Singer has ten novels out, and his eleventh, Dead Lawyers Tell No Tales, is due out this May. Also in his portfolio are the novella The Judge Who Stole Christmas and a couple of non-fiction works he'll describe in the interview. Does an accomplished author like this have a day job? No. He has two, which are also mentioned below. I've read his first nine novels as well as his novella. My favorite is The Cross Examination of Oliver Finney (recently re-issued under the title The Judge). One of the best Christian novels I've read is Self-Incrimination. Not only is the story great, but he takes the challenge of telling it in the first-person from a female perspective and having the protagonist of an earlier novel play the role of antogonist. Jeff Reynolds: Randy, first it's an honor to interview you. If memory serves me correctly, you were a lawyer for the North American Mission Board (Southern Baptist). That sounds like an interesting position. What was it like, and how did that experience prepare you both for your literary career and your current day jobs of litigation lawyer and teaching pastor? Randy Singer: For several years I had the privilege of serving as the lawyer for the North American Mission Board (NAMB) and as an Executive Vice President. NAMB’s mission was to help Southern Baptist Churches start new churches and share the gospel in North America. I worked with some of the most dedicated Christians I have ever known, both at the National and State levels. When you are part of something that big, there’s never a dull moment! One of the greatest things about that job was seeing God work in diverse ways. From cowboy churches to hip urban churches and everything in between, it was great to see the different ways churches were adapting to their culture in order to share the gospel message with credibility. Being around some of the best evangelists and apologists anywhere helped me understand a few things about our culture as well. For one thing, God showed me the power of story. At first, I wanted to write an apologetics book. As a lawyer working at a mission board, I thought I could come up with a unique perspective. But as I started writing that book, I discovered that everything I was saying had already been said by people smarter and more eloquent than me. Then God showed me how reasoning and logic will often fail to penetrate the defense mechanisms that people have built up. But stories go straight to the heart. One day, as I was flying in an airplane and the person next to me had his nose stuck in a novel (probably to avoid talking to me) I realized that he would spend twenty or thirty hours absorbing the worldview and philosophy conveyed by the author of that novel. That’s when God called me to be a storyteller and to share the deeper truths in life through novels. My work at NAMB also helped prepare me for my dual jobs as a litigation attorney and a teaching pastor at Trinity Church. The heroes of the Southern Baptist Convention are the many bi-vocational pastors who do what Paul did–work in a secular pursuit and at the same time pastor a church. Among other things, this allows those of us who are bi-vocational to stay in touch with people who never darken the door of a church and reach them in ways that we could never do if we were only pastors. 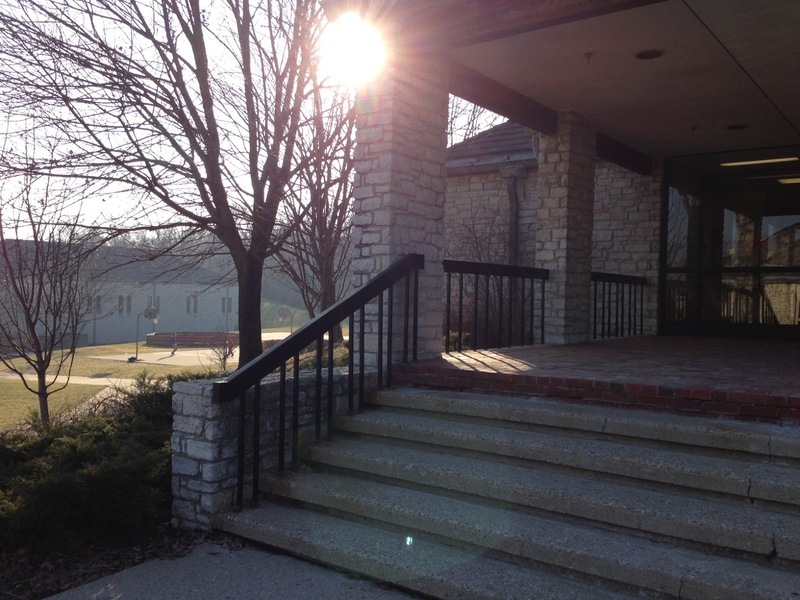 I also had a lot of experience with church starting at NAMB and this helped prepare me for my job as the first teaching pastor at Trinity Church, a place where I have been serving for the past six years. JR: A subject that's discussed in ACFW circles and elsewhere is the preferred method of writing: Plotting/Outlining versus Seat of the Pants/Blank Page. Which approach do you use? Or does it vary from story to story? RS: I am a very committed plotter/outliner. 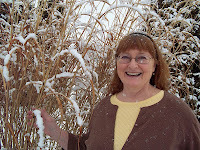 Before I begin drafting my books, I will typically have a twenty-page outline and a very clear vision for the twists and turns in the story, including the ending. However, now that I’ve concluded eleven novels, I realize that the final version of the book seldom looks much like that twenty-page outline I put together at the beginning. Does that mean I’m going to start writing by the seat of the pants? Not on your life! If nothing else, the outline gives me a security blanket and allows me to write with a direction in mind. You might find this shocking, but as a lawyer and pastor I tend to be somewhat verbose. If I didn’t have a detailed outline with an ending in sight, I think my books would be 800 pages. They are already on the long side so I’d better stick to the plotting approach. I’ve found that many times I will write the book from the original outline until I get about two-thirds of the way through and then I’ll throw in a plot twist which changes everything. This makes it harder for the readers to predict the plot twist because I didn’t even know it was coming myself when I wrote the first two-thirds of the book. My perfect ending is a twist that catches the reader by surprise but still seems “fair.” The worst ending is something that catches the reader totally by surprise but feels like an ambush because it came out of left field and there were no clues or foreshadowing along the way. JR: One thing I enjoy about your novels is the development of your antagonists, like "Ichabod" in Directed Verdict, Irreparable Harm, and The Judge Who Stole Christmas and Mitch Taylor in Self-Incrimination. How do you create such interesting characters? RS: Thanks for the encouragement. I work hard at developing three-dimensional antagonists. For each story, I will actually construct an entire biography for my antagonist. What made him/her that way? What motivates him/her? What redeeming qualities does he/she have? Etc. I’ve found that hardly anybody starts out in life just trying to be evil. In his/her own warped view, the antagonist usually believes that his/her actions are justified. Most of that biography will never make it into the book but it helps keep the character consistent and realistic. I also work hard to make my antagonist at least equal in terms of cunning, force of will, discipline, etc. to my protagonist. Even better if my antagonists have superior traits so that my protagonists can be the underdogs. Next, I’ll have my antagonist do something that is admirable or noble. As a lawyer, I’ve learned that even the most despicable people have moments of honor. Finally, I will go through the entire book once I have the first draft written and read it (and rewrite it, if necessary) from the POV of the antagonist. What would he/she be thinking here? What would he/she know here? How would he/she react? JR: At this moment, you have eleven published novels. Which one was the most enjoyable to write? The most frustrating? The most rewarding? But since the Fifth Amendment doesn’t apply to author interviews, I’ll try to answer. The book that was probably the most enjoyable (i.e. easy) to write was False Witness. It was my fifth novel and the first time I took the pressure off and quit trying to evangelize readers and just allowed myself to tell the story. The main character was based on a former friend of mine who had been in the witness protection program and had led a very colorful life. Writing that character was easy. There were also law students and a crusty old law school professor and a cool black lab—all of which are familiar parts of my life (I’m the crusty old law professor). The settings were Atlanta and Las Vegas, two interesting cities. That story came easy to me and to this day most people say it is the hardest one of my books to put down. The most frustrating is probably a two-way tie. The Cross Examination of Oliver Finney and my most recent book, Dead Lawyers Tell No Tales, both stumped me. For both, I thought I had the plot all figured out at the beginning but really struggled to bring it all together in the end. I can distinctly remember during The Cross-Examination of Oliver Finney having such severe writer’s block that I had to get away from my normal patterns of life and go to the city that was the setting for the book, stay in a hotel away for about a week, and go for long walks and runs until I could work through everything in my mind. I isolated myself from everyone until I figured it out. About halfway through my most recent book, Dead Lawyers Tell No Tales, I called my publisher and said that the book just couldn’t possibly work. It was time to move on to the next book instead. Karen Watson, my editor, talked me down from the ledge and told me to keep working on it. I'm very grateful because I think it’s turned out to be one of the strongest books I’ve ever written. It eventually came together and I look back on it now and find it hard to believe that I was ready to quit on this book. The most rewarding book is always your first book, isn’t it? For me, Directed Verdict is when I learned that I really could write a novel and that people might actually read it and enjoy it. But that book is now being surpassed by the one I’m currently working on. The Advocate will be released in time for Easter, 2014. That story is proving to be the most challenging and rewarding experience I’ve had as a writer. I tell people that I was born to write this book. JR: There are additionally some non-fiction works in your portfolio. Could you tell us about them? How did your fiction experience influence your non-fiction writing and vice versa? RS: One thing I’ve learned is that both fiction and non-fiction are ultimately about storytelling. There is a reason that Christ taught in parables. Our brain is hardwired to respond to stories and our hearts are drawn to them. A good non-fiction book captures truth through real-world stories. One of the non-fiction books I co-authored with my friend, Bob Reccord, is the book Made to Count. As leaders at a mission board, we were advocates for the biblical principle that laymen and laywomen are just as “called” as those who surrender their lives to full-time ministry. Made to Count is the story of men and women who share the Gospel in all kinds of ways (through their occupations, in their neighborhoods, etc.) outside the walls of the church. In church life we sometimes inadvertently treat those called into full-time ministry as the true spiritual giants and others as second-rate. Bob and I wanted to tell about the heroes that minister beyond the bounds of traditional ministry. For example, the book starts with a man who cleans port-a-johns for a living and includes those serving Christ in a number of secular professions including, believe it or not, lawyers! I also wrote the The Cross Examination of Jesus Christ because I was intrigued by Christ’s confrontation with the lawyers of his day and what those confrontations teach us. The book contains a number of my personal experiences that I use as examples for how Christ can work in the most unlikely among us. JR: One subject I find interesting both in regards to writing and to life in general is mentoring. Who would you consider your writing mentors? Also, you undoubtedly have had opportunities to mentor as an author, a lawyer, and a pastor. Any advice for us in either mentoring others or being mentored? RS: I've had wonderful mentors in all areas of my life, including ministry, my law practice, and writing. Four Christian authors who welcomed me to Christian fiction and have been very helpful along the way are: James Scott Bell, Angie Hunt, Brandilyn Collins and Robert Whitlow. Mentoring others is one of the highlights of my life. I presently have a group of about 15 young men that I mentor on Sunday evenings. I’ve also had the awesome experience of mentoring high school boys who don’t have fathers in their lives. These young men become like sons to me and seeing them succeed in life and grow closer to the Lord is its own reward. Recently, I’ve had the opportunity to see my latest surrogate son play football at the college level which has been a fun experience for a guy like me who was too small and too slow to have that kind of career. JR: A common denominator/thorn-in-the-flesh your three responsibilities have in common is research. Does your research in one field ever light a spark in one of the other two? RS: Great question. Many of my novels are sparked by real-life cases. God has given me a very interesting, diverse and challenging case load at my firm. Many lawyers end up doing the same kind of mundane cases week after week and year after year. However, I’ve had the privilege (I guess you could call it a privilege) of being involved in in some of the most unbelievable cases you could possibily imagine. When a lawyer prepares a case for trial, there’s an enormous amount of research that goes into that subject matter. As novelists, we are taught that we write best those things we know the most about. For me, it’s a natural thing to let my real-life cases bleed over into my fictional ones. For example, a little over two years ago I represented the daughters of Hamilton Somerville in a high-profile case where we sued their step-mother for poisoning their father. I learned more about evidence for modern-day poisoning cases in the context of that litigation than I could have learned as a writer doing months of research. Another example is a case I tried arising out of a school shooting. That case formed the basis of my book The Justice Game. Readers often respond to authenticity in the stories that we tell. Nothing makes a story more authentic than basing parts of it on real-life events that we’ve lived through—actually experiencing many of the emotions and traumas of our main characters. JR: My guess is that your pastor's heart carries over into your legal and literary duties. What are your greatest burdens/concerns, and how do they motivate your preaching, writing, and litigating? RS: My overriding concern is for those who have never experienced salvation through Christ. Each of my messages on Sunday, and each of the books I write, are designed to help people take another step on their spiritual journey. Many of my books are designed to raise important spiritual questions and allow the readers to sort out the answers on their own. I’ve learned not to “preach” in my books. If people want to hear me preach, they can come to my church. My books should just tell a story that will entertain and, hopefully, point subtly toward some spiritual truth. I’ve built a law firm on the principle that we should minister to our clients both by seeking justice for them and by being open to their spiritual needs. When people come in my door, they are frequently going through the biggest crisis in their lives. They need someone who will be a loyal advocate and not judge them. And yes, they need someone who will fight hard for justice. But they also need someone who will level with them and tell them the truth about the reality of what they are facing, both legally and sometimes spiritually. I hope that I can provide all the above. JR: I am grateful that you took the time for this interview considering how full a plate you have. What should we look forward to on the publishing end? And if we visit your church, what will you be preaching on? RS: As I mentioned in response to a previous question, I think that my next book may be the most important book I’ll ever write. It’s called The Advocate and it’s a first-person account of the two most important trials in the history of the world–the Trial of Christ and the Trial of Paul in front of Nero. Of course, many brilliant scholars have studied, dissected and reconstructed the trial of Christ in the past two thousand years. But we know very little about the trial of Paul in front of Nero. The Advocate is being written from the perspective of Theophilus, the court-appointed advocate for the Apostle Paul and a man who was an advisor to Pilate during Christ’s trial. My hope is to bring these two epic events alive in the context of this story. At church from now until Easter I’m preaching on the final seven days of the life of Christ. Easter is my favorite day of the year and I’ve seen God do some incredible things during this season of Lent. JR: Thank you for your time and may the Lord Jesus Christ bless you. RS: Jeff, thanks for asking me to do this interview and for your very thoughtful and insightful questions. I’ve had the opportunity to do a lot of interviews but your questions were unique and very insightful. Bless you! · You have an office but never write there because you can’t find your computer. · Does your office have carpet? You’ve forgotten. Also, whether it has a window. · You just moved into the house next door because the books you bought have taken over the first one. · You still haven’t unpacked from the 2006 ACFW conference. · The number of your undeleted e-mail messages exceeds that of the national debt. · Your smartphone, having given up on organizing you, has run away from home. 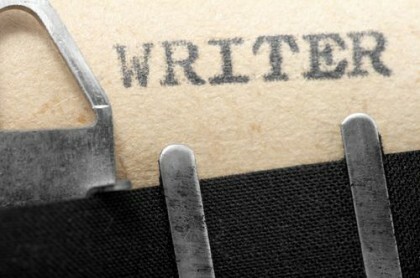 · You still have every story you’ve written since kindergarten. And every story your children have written. And every story your grandchildren have written. Plus all the rough drafts. · You can see the top of your desk. No respectable piler would permit such a thing. · You have programmed morning, noon and night tweets through the year 2021. · You color-code your rejection letters. · You actually know where your writing goal list is. · Every friend of yours on Facebook has been categorized according to relationship, location, hairdo, and Popsicle flavor preference. · Your idea of a good time is to alphabetize your recycling. Yes, God knows where your membership belongs. So does your spouse. And your friends. How about you? Fill in the blank: you might be a filer/piler if you . I've been waiting for this for a long time, and to me it's almost as good as a hot biscuit fresh from the oven. Some aspects of my job are very routine, almost like milking cows. Same thing over and over. I just have to keep moving. That gives me some big chunks of time to day-dream about my stories. I started a new project about the time I discovered the "notes" feature of my cell-phone actually has a lot of space. So, on breaks and at lunch, I've been writing myself notes about my latest story. If they are in my cell phone, they have to be concise, and they don't blend into the debris field of my purse like paper scraps would. When I get home, I jot them down in the story document. I don't really have an outline or a snowflake, just a list of things to do in the story. I don't think this is going to change me from a seat-of-the-pants writer to an organized one, but it is helping me use my time. The only issue is, what was I thinking? Here's an entry ..."Sofias gma n ggma dps, ggma a cook for army, overhears gi speaking dutch, is war bride." I think it is supposed to mean "Sofia's grandma and great-grandma are displaced persons after World War II. Great-grandma gets a job as a cook (?) (or doing laundry? Ask Pop) for Army, overhears a GI speaking Dutch, is war bride and they move to Michigan." Anyway, I've been using my cell phone to capture a lot of ideas while they are fresh. I would love to hear other ideas for organizing stories. Are You Really Called to Write? I am living the nightmare that every writer fears. My computer crashed several times and it is now totally swiped. I'm attempting to recover the lost files from here and there, and in that process, I've actually run across manuscripts I wrote in the past years and had abandoned. It is amazing to see the writer I was as compared to the writer I am today. And for a couple of the manuscripts, I'm wondering why I abandoned them. During this process, sometimes you will revisit your first inclinations to write, like me. Why did I ever start this process? When did it actually come together? Is it worth it to recover all those files? As a Christian I have one more place to visit--did I actually get called to write? A flicker of self-doubt creases my brow as I attempt to reconnect my back up system for the third time in order to retrieve my massive files. Is it worth it? Have I missed another calling because of pursuing this? Did I get on the wrong boat and now I'm in the belly of the fish??? New writers, and sometimes old writers, might visit this question while chalking up rejection slips or any number of setbacks. But it is an essential question for a Christian. We want to discern God’s calling for us, even if it is not writing. But what if God did call you to write? Or what if He really didn't? There are many questions we ponder and pray about each time we feel “called” to a ministry (and your callings may be different than another's so don't go comparing yourself.) First of all, we know that all Christians are called to basic things as we live the life of a Christian. If you are a Christian, this isn't something new to you. But can you remember how you were called to write? Or is it hazy? Everyone has a different way of discovering that call to write, just as each of us came to Christ on various paths with different experiences. Just look at examples of callings laid out in the Bible. Do you find any similarities in your calling to write to these Biblical examples? Let's look at how God called these people to do something for Him. See if you recognize yourself in any of them and maybe you’ll find that you were called to write in a way you did not see before. Samuel: Samuel got his call in the night as a little boy while living in the temple. God spoke directly to him, but he didn't realize it was God until he was told to just answer God. He carried through his calling to a ripe old age and even got called back from the dead by a king who did not carry out his own calling. Moses: God called Moses from a burning bush that was not consumed. What a story he had to tell! Dramatic, but during the call he doubted his abilities and ended up getting his brother called in on it too. Once he realized that God meant business, he became a mighty man of God. Gideon: Gideon had to throw down some fleece and needed signs and wonders from God to see his calling. Jonah: Jonah really didn't think God had it right when He called him to head to Ninevah. When Jonah thought he'd hid out well enough, that's when things got rough. Next thing Jonah knew, he thought he was dead in the water--albeit in the belly of a fish--but God delivered him to the shore to get on with what He told him to do. He kept some of his prejudices, but he ended up being used anyway. And he did end up in the right place. Saul/Paul: Paul was struck down on the road to Damascus, was blinded, and Jesus asked him why he was persecuting Him (I bet he thought for just a second, "What are you doing to me?!") You definitely do not want to be on the wrong road, doing the wrong thing when God tracks you down like Paul. Timothy: Timothy was mentored by Paul and thought he'd just coast along on Paul's coattails but God (and Paul) knew Timothy had things of his own to accomplish. While he started off as Timid Timothy, he soon gathered confidence of his own in God's power and was able to even to minister to Paul when he was imprisoned. 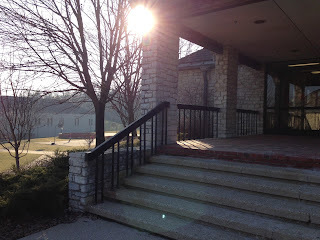 Every day, writers pass critical archways, too. We pass the doorway to the altar—the place where we approach God. Here is the place we adore, confess, wait, and listen to Him. It may be a kitchen table, a dining room table, a secluded desk, or a table at a neighborhood café. What matters is delighting in the Holy One who forewent the glories of heaven and took on our sinful flesh so that we might wear Christ’s righteousness today. When we pass through the doorway to that altar, our forgetting minds and wayward hearts return home. We pass the doorway to the writing table—the place where we approach our readers. Even though our readers don't hover over us--and we're glad they don't-- they are real people, thirsty for life and hungry for truth. Writers find great joy at the writing table, but it's especially set for the good of our readers. We pass the doorway to the world—the places where we meet others in the world. These might be an office, a retail store, a restaurant, a service shop, a school, a health center, a studio, a gym, a backyard fence or a friend's kitchen. No matter where we go, how might God use us to help others see Him? And how do those we meet help us see God? We pass the doorway to our home—the place where we are best known and most loved by those with whom we share a kitchen sink, a washing machine, perhaps even a marriage bed. We have profound obligations to these at home. How can we set writing aside and engage them? How might our writing do them good? We all pass archways every day. Which ones are critical to you? How do the places on the other side form you? How do those places prepare you for the next place? Have you ever wished you could step back and review your manuscript through the objective eyes of a professional editor? While you can’t literally enter another person’s brain, there is a way to slip temporarily into professional editor mode: Volunteer to judge for writing contests. The experience might show your work in a new light. Last year, one writing competition put out a plea for experienced authors to serve as judges for an upcoming contest. My schedule was tight, but I understood the need was worthy, so I submitted my credentials and was accepted. When I received the entries I was to critique, the contest organizers supplied a list of criteria to consider. These included use of dialogue, command of English language, punctuation, interest-grabbing openings, and other factors involving style. I had volunteered to help others, but ultimately this exercise improved my own writing. Why? It’s easier to spot your own weaknesses in a context that didn’t spring from your own imagination. Often, we writers are simply too close to our words to perceive our flaws. Does the contest entrant wax on and on about setting description or interior monologue without any action or dialogue? Yes, but as I scrutinized my own story I find myself guilty of similar transgressions. How about that opening paragraph? Your impression might be “Tsk, tsk. Couldn’t this writer see why this opening comes across as ho-hum when it should pop off the page and grab my eyeballs?” That conclusion drove me back to reexamine my own opening scene. Perhaps you’ll begin reading a contest submission and find yourself wondering, “Where in the world is this dialogue happening? There’s not a word about location. It’s literary limbo!” That, too, caused me to repaint my background with a few brighter strokes. For these reasons and more, I urge you to judge a writing contest if you get the chance. You’ll serve yourself while serving others. However, be sure to offer encouragement and praise whenever you can. While all of us have room for improvement, all of us also can also use a shot of encouragement—especially that young author just starting out. Rick Barry has published over 200 short stories and articles, plus two novels. Visit his personal blog at http://rickbarry.blogspot.com. If I ever got around to polling writers, I bet procrastination would be one of the top detriments to success. There are so many loop threads and blogs bemoaning it and how to overcome it that it would seem nothing new could be offered. Pier Steel, PhD in his book "The Procrastination Equation" says psychologists and psychiatrists long believed procrastination and perfection were linked without realizing that it was perfectionists who most often sought help. Steel pulled his test group from random college students and found procrastination was more widespread than first thought. Even more interesting was that it stemmed from various motivations. For instance, do you have low expectations? Maybe you value enjoyment more than the abstract rewards of tasks that seem irrelevant? Perhaps you’re simply impulsive, easily distracted, and hate to wait. Dr. Steel further divided expectation, values, and time into reasons people procrastinate. He offers actions for each particular type of procrastinator. *Someone with low self-expectancy can build confidence by improving a skill that is already an interest, though unrelated. This is why students who have extracurricular activities often improve their grades. *Boredom can be avoided by increasing challenge through competition thereby increasing the value of a task. This is an idea most of us understand, but not all find comfortable or stimulating. *Impulses can be managed by preventing your needs from becoming intense enough to cause distractions. Most surprising is this that type of person actually works harder by first scheduling something pleasurable. Could this account for that euphoric rush of creativity following an ACFW conference? Procrastination is linked to personality type, which is how God made you. Understanding how to address your particular needs will prevent a personality type from becoming a personality flaw and possibly leading to sin. While procrastination isn’t always a sin, it can be if our delay misses God’s timing or plan for our lives. We all procrastinate at some time or another. As writers, let’s not equate it with negative personal experience or culture by labeling it “lazy” or “immature”. Procrastination literally means “in favor of tomorrow”. This is only negative when the delay is irrational or not in our best interest. When diligent people procrastinate they call it “prioritizing” which is making wise and positive choices for available time, energy, and circumstances. To sum it up, not all procrastination is equal. 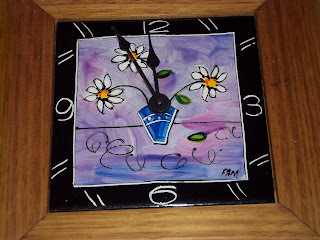 Expectancy, Value, and Time each create different reasons for Delay. Understanding how to self-motivate can unlock some mysteries for delay – and help solve the problem of procrastination. Mary Allen lives in the Midwest with her husband and a German Short Hair Pointer. She loves God's Word which never changes and also enjoys playing with words which can be endlessly changed. 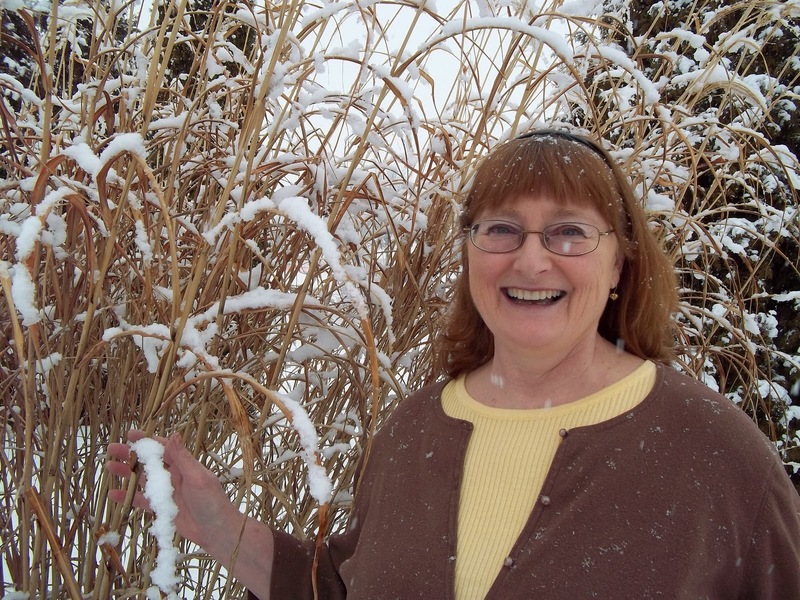 She writes about God's Truth, Women's Fiction and was the La Porte County Poet Laureate from 2010-2011. 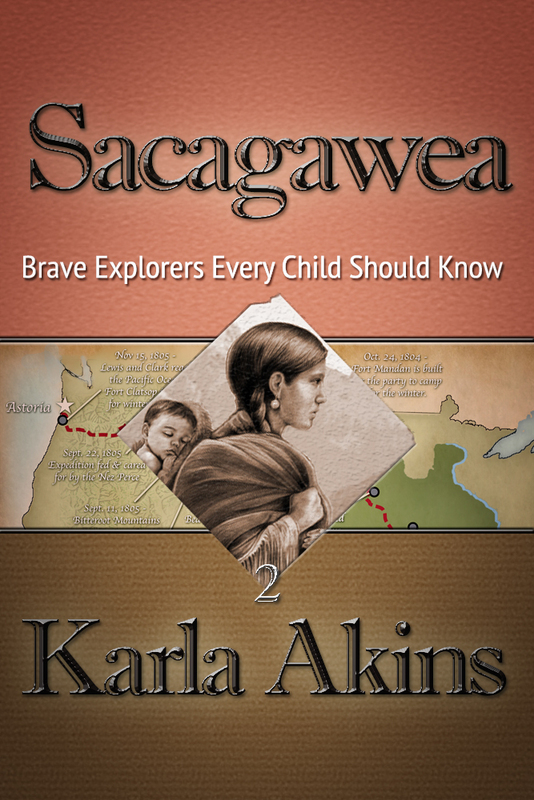 When I wrote Sacagawea, a "faction" ebook for Bramley Books for the middle grade market, I was a little sad when I was finished. I grew to love this woman and admire her a great deal. One of my reviewers gave me 4 stars out of 5 because it contains spousal abuse. The sad fact is, Sacagawea was abused by her husband,Toussaint Charbonneau. I believe in writing honestly for middle grades.This is the video game age. These are kids whose parents grew up watching Terminator. (Unfortunately.) They can handle the truth about history. Sacagawea is "faction." We know very little about her from the journals of Lewis and Clark. But from those journals I was able to imagine quite a bit about what her life must have been like. She was the only woman on a gruelling expedition with a group of rugged men. She was a Native American, and not as respected as European women. That is, there was no coddling Sacagawea. She was expected to be just as tough as the men and work just as hard. And she did, too, with an infant in tow. What's not to admire about such a woman? One of the exciting aspects of this particular ebook, is that the publisher wanted me to imbed links into the text so that students could actually see the things I described such as certain plants, animals and artifacts. When I couldn't find things online that were appropriate, I created content on my history blog. So when the kids and parents read the book, they also click on my blog at times. It's been a great way to build a fan base in this genre. When I came to the final chapter, I was actually sad to say goodbye to her. She had won my admiration and I wanted to spend some more time with her. I only hope my readers wanted to as well. How about you? Has there ever been a character you were sad to say goodbye to? Let me know. I want to meet them. Karla Akins is a pastor's wife, mother of five, grandma to five beautiful little girls and author of the best-selling Jacques Cartier (that went #1 on Amazon in its category), O Canada! Her Story. Sacagawea was released in Jan. 2013. Her debut novel The Pastor's Wife Wears Biker Boots is due out in 2013. One of her columns on MNN.com was featured on the CNN homepage. Represented by Hartline Literary Agency, she lives in North Manchester with her husband, twin teenage boys with autism, mother-in-law with Alzheimer's and three rambunctious dogs. 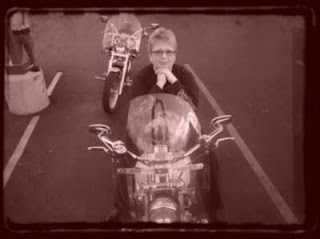 When she's not writing she dreams of riding her motorcycle through the Smoky Mountains.